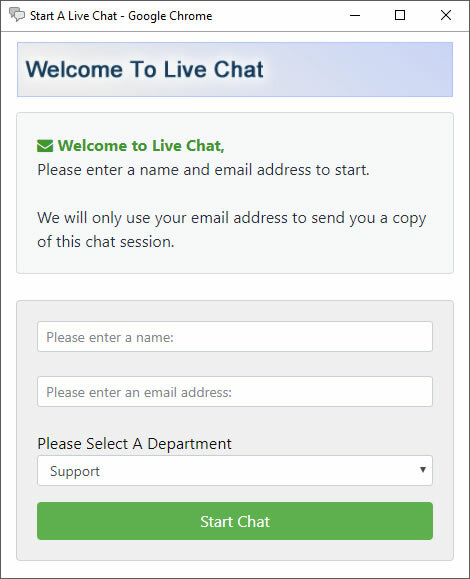 How do I install Live Chat? Other Plugins can be found here. These can be used to help integrate with Drual, Weebly, Google Blogger, BigCommerce and much more. By using our completely free live chat, you can talk with your customers in real-time via your own website. Save money, time and effort when chatting with your clients. Our software is 100% web-based, so no downloads ever! Simple to integrate with your app or website. And did we mention we have a free package? If your website is more demanding, requires more staff accounts or you just like our software that much, You can purchase one of our chat plans. Access to reports and visitor analytics. View who is on your website in real-time. Add more staff as needed. Create user accounts and departments. You have the edge when using live chat. Increase sales overnight and win more clients!